Ms. Theresa Randolph is the Founder and President of the longest beauty pageant solely dedicated to promoting the empowerment of the full figured woman, The Ms. Full-Figured USA pageant. Her mission for the past 25 years in producing the pageant has been focused on the building of self-confidence in full figured women across the United States. As plus size women from all over the country participate in her annual pageants, it is clear that size has no barrier on the beauty runway. Belinda Trotter-James, is the creator and former editor for Hype Hair, Try It Yourself Hair and 2 Hype national fanzine magazines. Currently she is the Editor-in-Chief for Modelocity Online magazine, an author and the former producer for the Ms. Big Beautiful Doll pageant and modeling competitions. Ms. Full-Figured USA Pageant is the longest and first beauty pageant system solely dedicated to promoting empowerment of the full figured woman. JT Pageant Enterprises presents their wildly popular plus-size event -- The Ms. Full-Figured USA Pageant, LLC. This annual standing-room-only extravaganza is the brainchild of beautiful plus size model/tv personality Theresa "Sparkle" Randolph. Dazzling audiences throughout the United States for the past 25 years, it's one of the most well-established and respected beauty pageants that features lovely ladies in all shapes and sizes. This long-running, significant pageant gives these gorgeous women an opportunity to demonstrate that "size has no barrier on beauty." Indeed, the average American woman is not model-thin, as shown in the magazines -- huge numbers of them are considered "plus sized" by a short-sighted fashion industry. This glittering, colorful beauty pageant is a must-see! 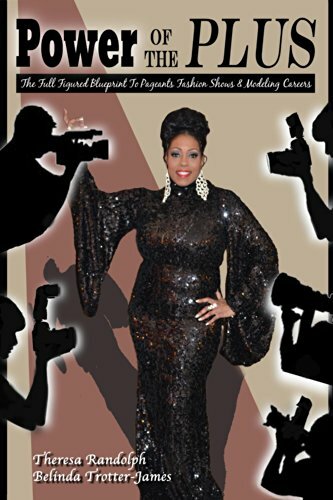 ​*Available on Amazon.com - This is a blueprint for those full figured women who always wanted to enter a pageant, participate in a fashion show or pursue modeling as a career. This book will reveal the unspoken rules to succeed in this industry.